Quartz chess clocks and Analog mechanical chess clocks. Chess Clock There is 1 product. 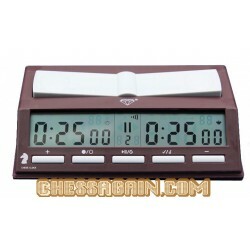 The chess clocks we have Digital chess clocks, Quartz chess clocks and Analog mechanical chess clocks.